Where Has The Barn Been Featured?! For the past couple weeks, we've been talking about our lovely team members at The Barn and how hard these ladies work to create the most gorgeous weddings ever. There is nothing more thrilling and satisfying than to see our weddings and styled shoots featured on major wedding websites and blogs and in huge bridal magazines! When one of our weddings gets featured somewhere big, we know our hard work has paid off! I'm going to share just a few of the places our weddings and our brides have been featured, and I'll share even more in the future! A couple years ago, Bridal Guide magazine asked us to share a few tips with them on how to make your wedding details more personal. I wrote an article for them called 15 Ways to Make Your Wedding More Memorable, which featured several of our weddings and their fun, special details! We've had a few weddings featured on The Knot, which is one of the most popular websites for wedding inspiration and real wedding photos! Lindsy + Keith's sweet rustic chic wedding was one of them, and Nikki + Scott's glamorous blush and gold wedding was featured, too! Yes, that Cosmopolitan. Samantha and Danny's super sweet engagement, captured by Stephanie Parsley Photography, was recently featured on Cosmo's website as part of their 22 Gorgeous Proposal Photos That Will Make You Believe in Love. You probably remember this beautiful couple from their boho-chic wedding at The Barn a couple summers ago! 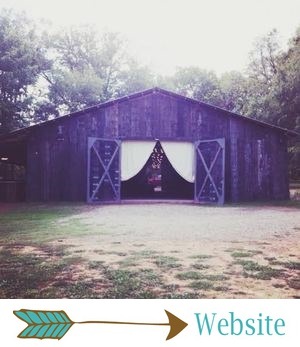 When Green Wedding Shoes featured us in their list of 24 Best Barn Venues for Your Wedding, we were super excited! Nothing makes us happier than being recognized with several other gorgeous, inspiring barn venues across the country! Rustic Wedding Chic is THE place to be featured for rustic venues like The Barn. When they featured our fall 2011 styled shoot, we were pretty pumped! Check out the post and some of the pretty details here.